If you regularly colour your hair, you will know it undergoes a fair amount of stress that can lead to dullness, brittleness and split ends if you don't give it some intensive care. That is why you need extra rich and nourishing hair care products for demanding coloured hair and you want to make sure the hair care also helps increase shine, retain the hair colour and resist fading as well. But if you only can spare 60 seconds in the shower for it, then you need to get yourself a tub of this just like I have with my recent re-colouring of my hair to a rich caramel brown. 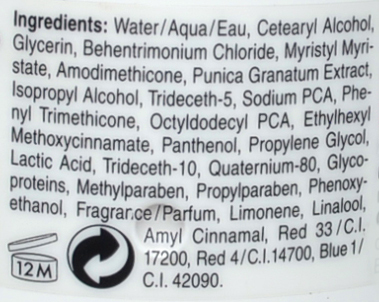 A thick berry scented cream that is like chocolate for hair. Its light pink colour reminds me of yoghurt and it really looks and smell good enough to eat (please don't - your hair needs it more than your diet does). Contains a specially developed Brilliance System with antioxidant pomegranate extract and UV filters to restructure hair and protect if colour investment from UV fading. The Microfluid technology is fast acting and after shampooing, just distribute through hair, go scrub the rest of your body and you before you know it, you're ready for the rinse out for soft and silky with a shine that will ensure you give everyone around you hair envy. We all need a quick pick me up at times and so does our hair. 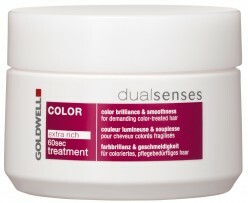 For ultra-fast and effective results on your colour-treated hair, you can't go past this ultra-quick working treatment. RRP A$20.95 at PriceAttack and selected hair salons.